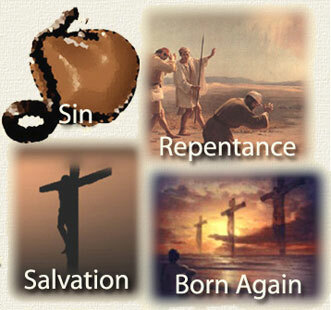 What you believe about Biblical repentance is, quite literally, a matter of life or death. Do not be fooled by the watered down Gospel message of “just “believe and be saved”, heard in so many churches today. On innumerable occasions, the Scriptures record God as warning that He will only have mercy on those whose repentance is real, but will destroy those who do not repent and turn from their sin. Scripture presents Repentance and Faith not as the same thing, but literally as two sides of the same coin. Quite simply, you can't believe without truly repenting. Salvation involves more than simply affirming in one's mind that Jesus is Lord and Savior - Repentance and Faith are both absolute requirements for forgiveness. Besides which, Jesus is unquestionably Savior, but what happened to acknowledging Him as Lord? He is called "Lord" over six hundred times in the New Testament and Savior a mere 24 times. In fact, 60% of the New Testament books never even once mention Jesus as Savior. Does the phrase 'Lord Jesus Christ' trip so easily off our tongues that it never even dawns on us that this title has great significance - that it actually demands something of us? In the church today one often hears that salvation is a 'free' gift from God. But does the Bible actually say it is free or have we managed to latch on to (and spread) a completely erroneous idea? I am sure it will surprise many to hear that the word ‘free’ isn’t in the original Greek.. And that the word ‘gift’ may not mean exactly what we have been led to believe. Salvation and eternal life do not come without anything being expected of us. To imagine that we can live our lives like the rest of the world, but still be welcome in God's presence, is little more than wishful thinking. The kingdom doesn't come cheap. From the very outset Jesus made it clear that He was not interested in casual followers, or even admirers but dedicated disciples whose commitment to Him supersedes all earthly ties. The minute we convert and are born again, we are adopted as sons and daughters of God and become citizens of His heavenly kingdom - strangers and pilgrims that stop here for a little while and then move on to our permanent home. However we cannot maintain a dual citizenship - allegiance has to be to one or the other. The goal should never be getting someone to pray a prayer, but rather to follow Jesus. When we emphasize deciding for Christ instead of living for Him, we often get spiritual miscarriages instead of spiritual births. Our sense of safety can’t come from simply saying a prayer. I strongly suspect that, if one were to ask the vast majority of Christians what one has to do to be saved, you would get a number of answers like "accept Jesus as your personal savior", "ask Jesus into your heart" etc. However, while the terminology may vary, the answers would almost all boil down to all you have to do is believe... all you have to do is have faith. In other words, at the very moment the sinner puts his, or her, faith in Jesus Christ and accepts Him as his/her savior, that person has entered into a covenant relationship with God, has received God's forgiveness of sins, and the gift of eternal life. It is certainly a fact that the Bible teaches that faith is an essential ingredient, without which it is impossible to please God, but it never ever teaches that faith is the only requirement for salvation. In fact the Scriptures point to a number of things by which a person is saved. The word "faith" is often deeply misunderstood, often seen as "pie in the sky", totally unsubstantiated by facts. However, what many Christians and non Christians alike, do not always realize, is that while the Bible is very big on faith, it is a faith based on facts. Perhaps the best definition of faith comes from Hebrews 11:1, which says, "Faith is the assurance of things hoped for, the conviction of things not seen". The words assurance and conviction are key to understanding Biblical faith. When we are dealing with things that we cannot perceive with our five senses, the only way we can know that these unseen things are true, is by the evidence. If we do not have evidence, then all that is left is hope. However, the Bible provides evidence aplenty that it is the Word of God, and that Jesus did rise from the dead. These days, almost everyone talks about being born again; but virtually no one knows what the Word of God teaches about the new birth. While you don’t have to do all things people think they must do... get an education, get married, have children, carve out a career etc, and you don’t have to have all of the things people think they must have ...a home, a car etc... The one thing you have to do during your lifetime is be born again... your future for an entire eternity hangs on it. If you are reading this, then I'm going to assume that you have put your confidence in Jesus Christ as the God who took on flesh and who traded places with us (during His death on the Cross) when God judged and punished our wrongdoing ... and that, accordingly, you are related to God in a new way. What we need to do now is to look at four things: 1) what is the character of your new relationship with the living God, 2) what can you expect to happen in your life now, 3) why should you go forward from here in a relationship with God, and 4) what specific attitudes and actions can you initiate to cultivate this relationship, to nurture it, and to develop it to its fullest expression in your life? Water baptism and The Lord's Supper (communion) are the only two ordinances instituted by our Lord. While neither one is a means of salvation or should be a prerequisite for church membership, both should be observed by all Christians. These rites are outward symbols of inward spiritual grace but do not of themselves create spiritual change. We can however publicly and privately demonstrate our belonging to Christ by being baptized and having Holy Communion. When the Judge of the earth says, "Close for the night,"
And asks for a balance-WHAT THEN? And the great Book is opened-WHAT THEN? And we stand up before Him-WHAT THEN? Is asked for a reason-WHAT THEN?